The weekend of 7 to 9 September 2018 was a rich celebration of wind and brass music at the YST Conservatory. 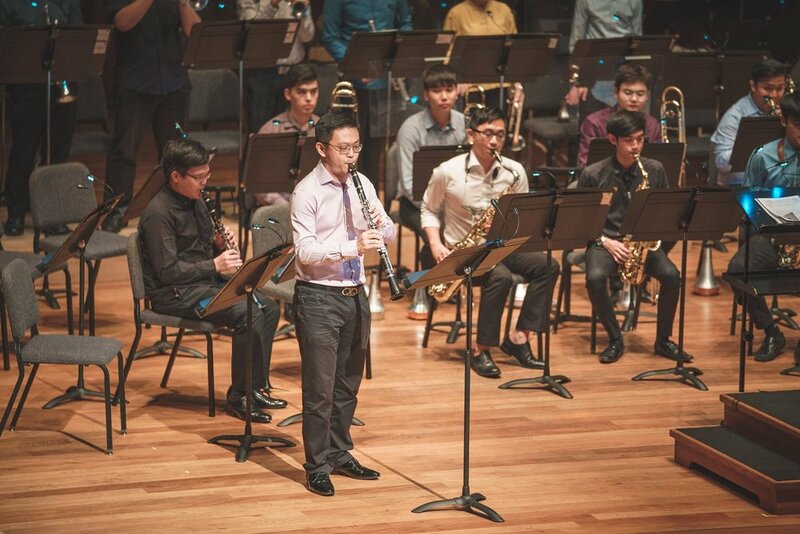 Over three days, we hosted the Singapore Band Clinic themed ‘The Joy of Band and Beyond!’, held the YST Double Reed Day 2018, and presented the YST Wind Consort in concert at Bandscendence. These events sought to celebrate and continue the tradition of wind band music, which has been well-enjoyed in Singapore since the arrival of military bands in early 19th century as well as the initiation of school band programmes in 1965. Since then, the scene has now grown to encompass 190 bands island-wide and an estimated 20,000 students who have benefited from wind music education in the past 25 years. It was a lively weekend in more ways than one. Sessions included a bassoon masterclass, talks on applied topics, and concert performances. Further, it was a gathering of YST leaders, faculty, alumni, students and partners in a rich community of music-making and sharing. View the video and photo highlights from the weekend, and click on the dropdowns below to learn more about what went on. 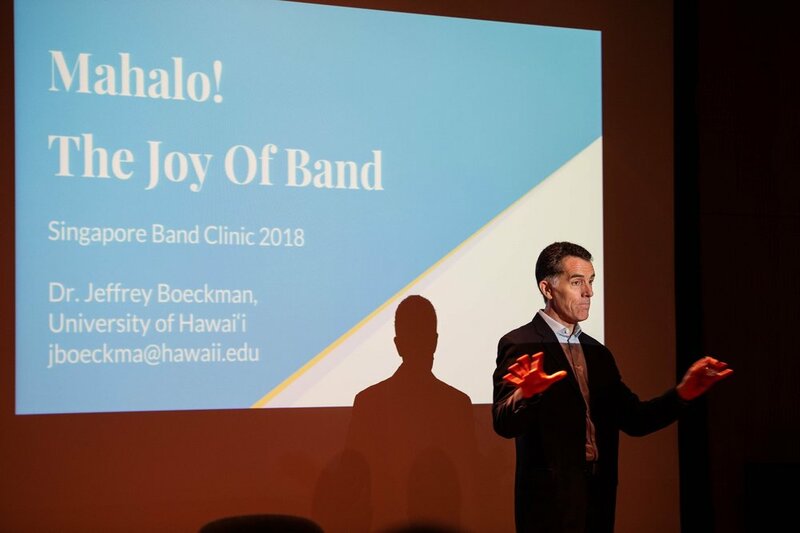 Conductor and educator Dr Jeffrey Boeckman was a keynote presenter at the Singapore Band Clinic. He also made a guest appearance to conduct the debut of the YST Wind Consort. Assoc Prof Tony Makarome presenting a lecture at the Singapore Band Clinic. YST alumnus Alvin Seville (‘18) presenting a workshop to over 200 band students at the Singapore Band Clinic. YST Tuba majors in a demonstration of breathing techniques as part of a class presented by Head of Brass Assoc Prof Brett Stemple. 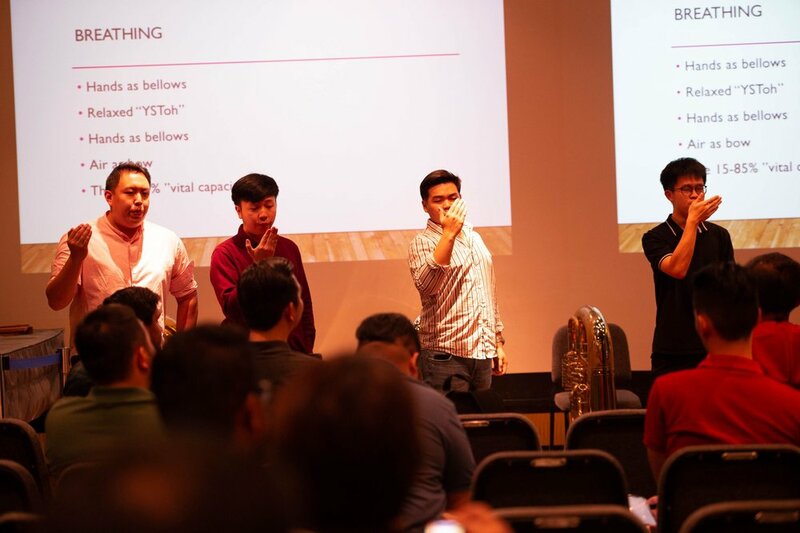 YST was host to the Singapore Band Clinic, an initiative by the Band Directors' Association of Singapore. It was led by faculty member Adrian Chiang and featured an array of events presented by leading exponents of wind music education, from Singapore and beyond. 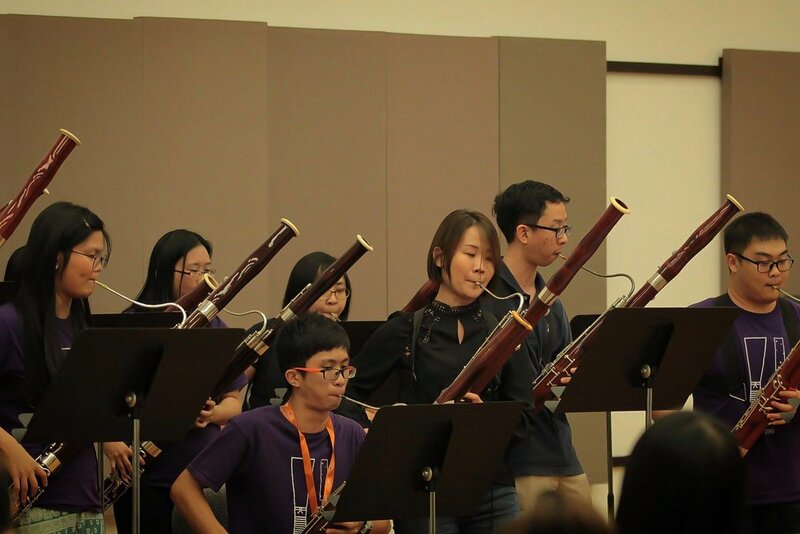 YST's institutional collaborators included partners from the Southeast Asia region; students from the Mahidol University (College of Music) were invited to perform alongside the YST Wind Consort. The charismatic Professor Giorgio Versiglia was a Visiting Artist at the annual Double Reed Day. Reed making - an indispensable part of bassoon and oboe playing - being explained to curious high school students. YST Oboe faculty member and Singapore Symphony Orchestra musician Carolyn Hollier explaining the craft of oboe reed making. Master technician and instrument maker Yanko Petrov, shown here demonstrating the fine art of instrument maintenance as part of the YST Double Reed Day. Wind alumni reunite! 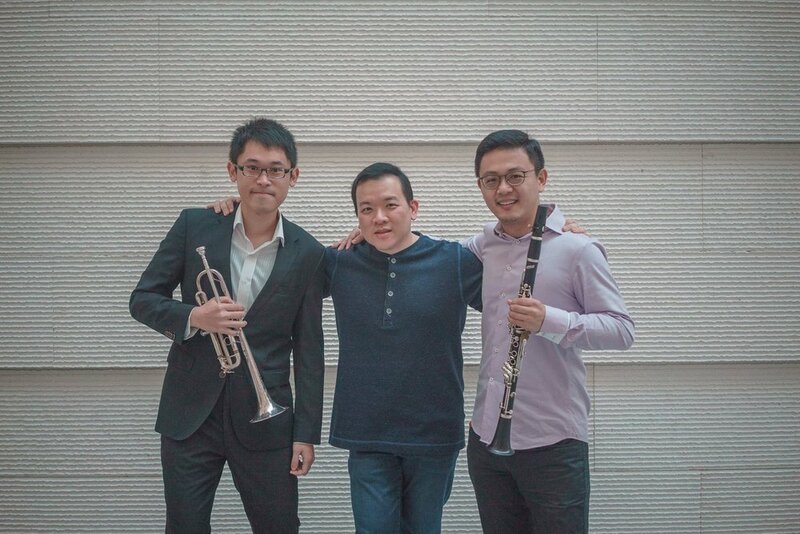 Seen here: Hou Chuan-An ('11, Principal Trumpet, National Taiwan Symphony Orchestra), Adrian Chiang (President, Band Directors' Association Singapore), and Li Xin ('07, Associate Principal Clarinet, Singapore Symphony Orchestra). The YST Wind Consort, conductor Chong Wailun (MMus Year 2) and YST Composition faculty Asst Prof Nick Omiccioli giving a bow, after a performance of Asst Prof Omiccioli’s well-received "Fuse". The YST Wind Consort's debut was accompanied by visuals by Theemptybluesky. YST alumni Lee Jinjun (‘16) and Hou Chuan-An (‘11) taking a bow after the performance of Jinjun's celebrated "Chan Mali Chan Variations" for solo trumpet. Li Xin ('07) in action - Bernstein's "Prelude, Fugue and Riffs" served as a closer to the YST Wind Consort's debut performance. The annual Double Reed Day united the Singapore oboe and bassoon community in a lineup of events, featuring a bassoon masterclass with Professor Giorgio Versiglia of the Bergamo Conservatory of Music, workshops on instrument maintenance and reed-making with oboe-maker Mr Yanko Petrov, sessions with YST Head of Woodwinds Assoc Prof Zhang Jinmin and Artist Faculty Carolyn Hollier, as well as a closing concert. The weekend ended with the fully-subscribed Bandscendence concert, featuring the YST Wind Consort with musicians from the College of Music at Mahidol University – a partner school of YST through Southeast Asian Directors of Music (SEADOM) association. The evening’s programme paid tribute to the special genre of wind music, showcasing contemporary works by Trumpet alumnus Lee Jin Jun (’16) and Composition faculty Asst Prof Nick Omiccioli, alongside classics by Grainger, Stravinsky, Bernstein, Persichetti and Sousa. We were also proud to witness the great work done by alumni Hou Chuan-An (BMus Trumpet, ‘11) and Li Xin (BMus Clarinet, ‘07) and MMus Year 2 Conducting student Chong Wailun!